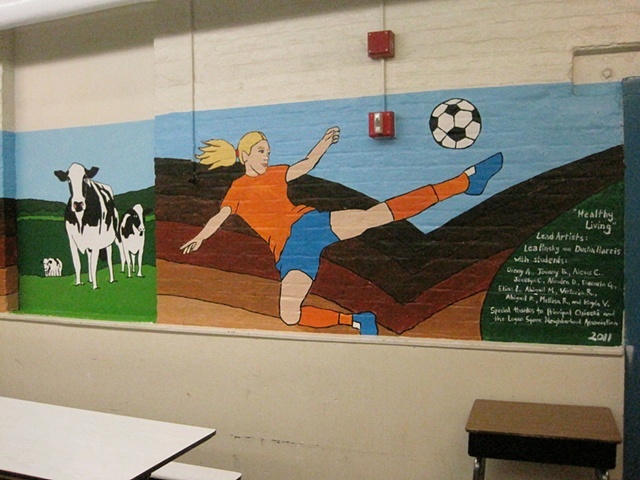 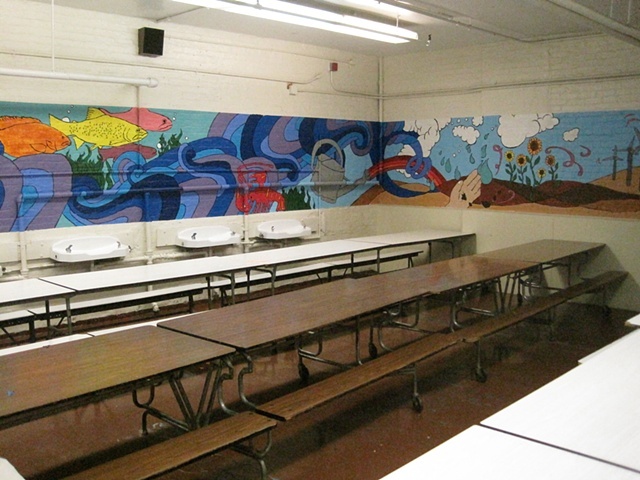 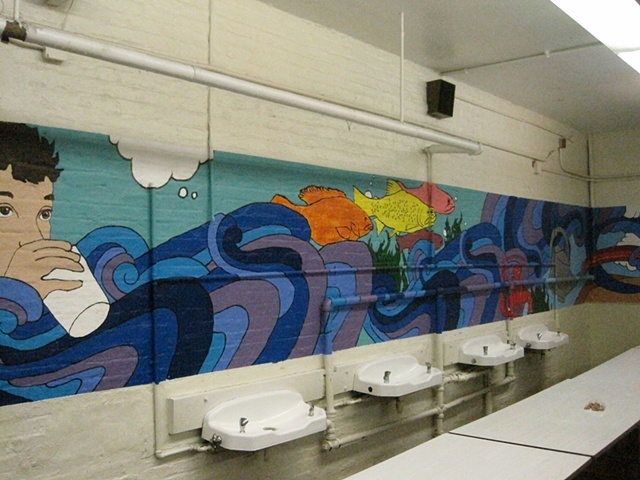 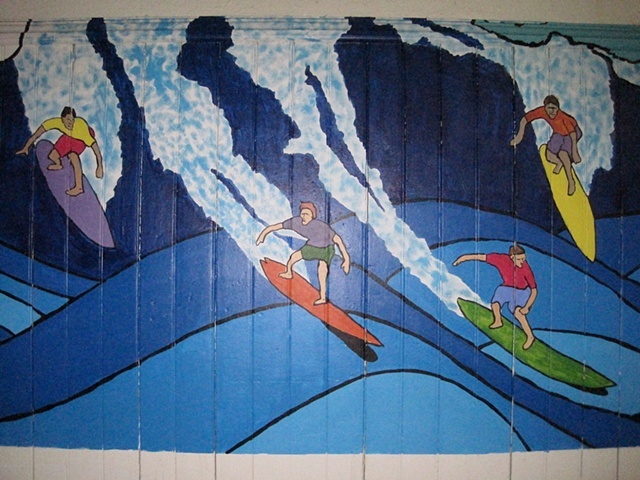 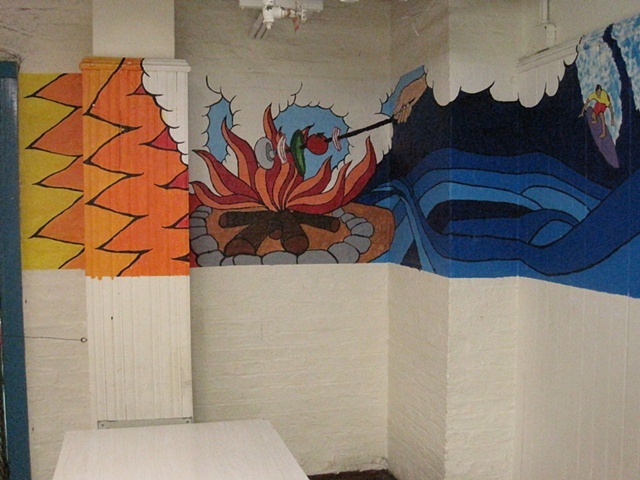 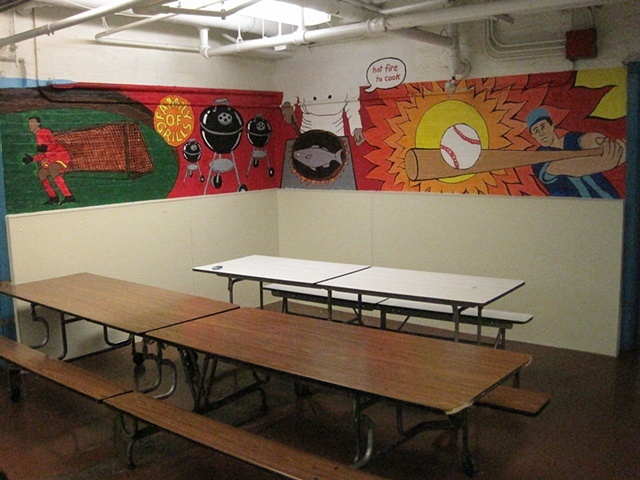 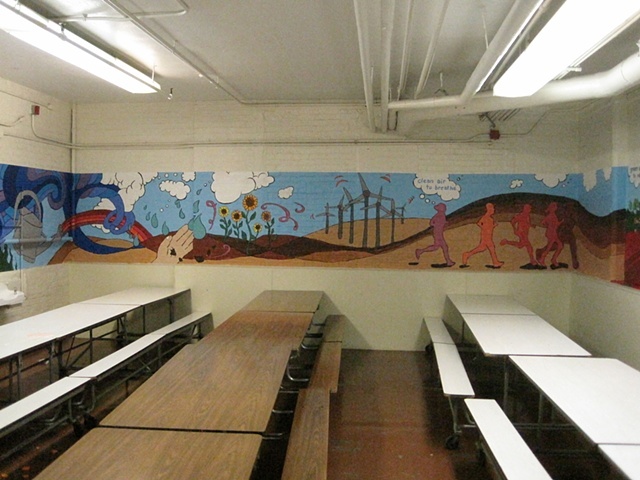 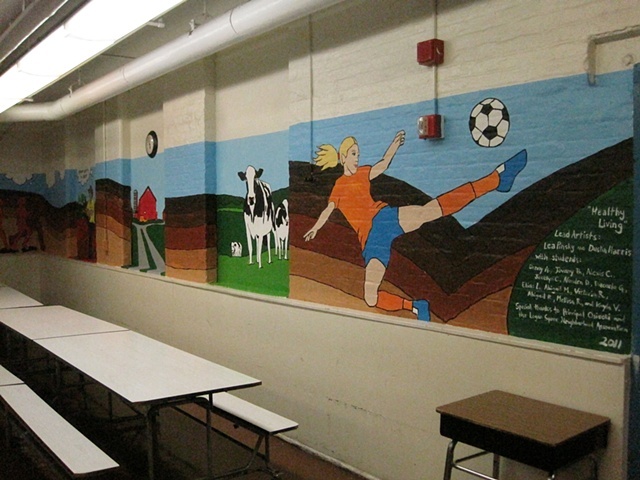 In Winter/Spring 2011, we created a wrap-around mural for the lunchroom at Funston Elementary School on the theme of "Healthy Living and the Four Elements." 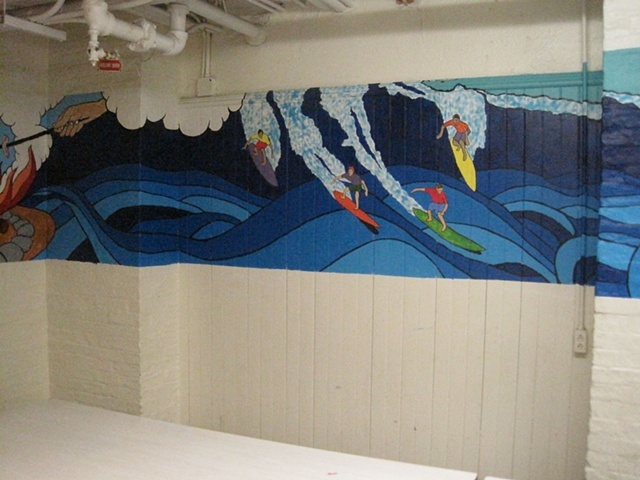 We worked with 12 students in 3rd- 6th grade after school, who were involved in all stages of the project-- from devising the theme, to choosing images, to priming, projecting, and painting the entire 600 square feet. 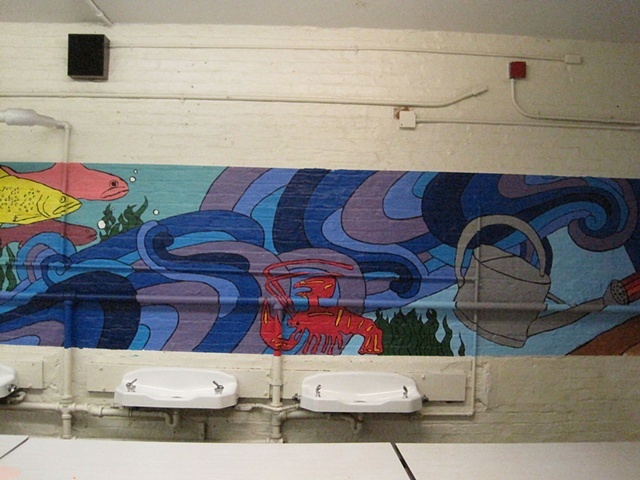 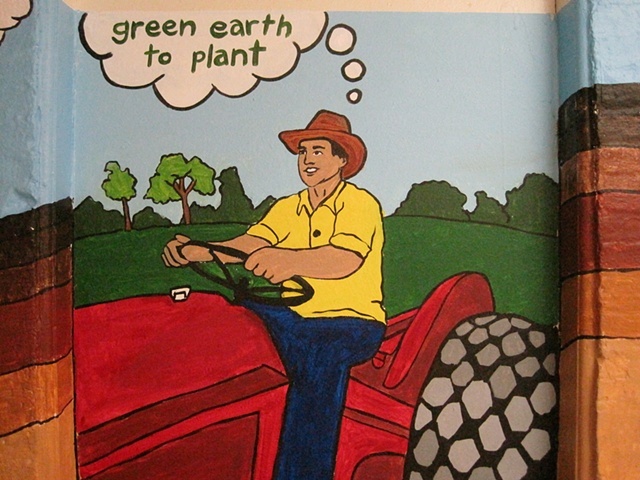 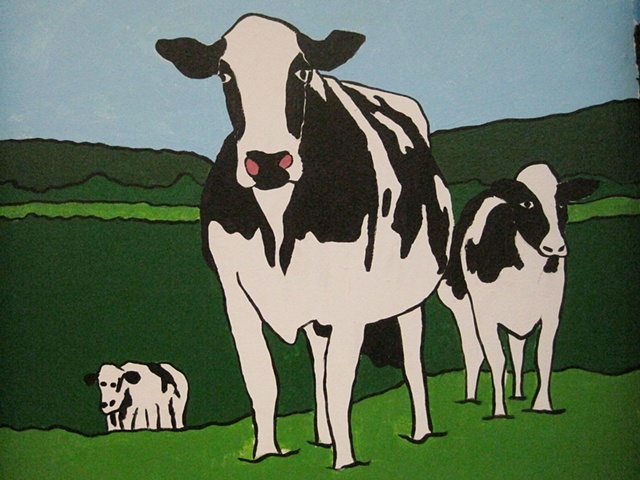 Also, new for this project was a Curriculum Companion that we created for all teachers at the school, which explains the significance of images in the mural, offers discussion topics for a tour, and provides activities to lead back in the classroom based on the theme.